How Does Tai Chi Work For Good Health? The pace of modern life will not slacken. 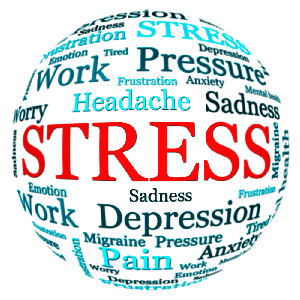 The stressors will maintain their stranglehold. So the sundry lifestyle diseases and mental maladies will continue to be around. Both the scientist and the common man in the West have realized they need a more effective solution than popping in pills to manage the ills. Thankfully, they have found the answer in Tai Chi. This ancient Chinese healing art is recommended by doctors around the world to supplement conventional treatment for a host of diseases like diabetes, hypertension, cardiac ailments, arthritis, gastro-intestinal complications, and many mental disorders. So how does Tai Chi work its wonders? Tai Chi with its slow gentle movements may not look much like an exercise, but you will be surprised to know how effective it is at reducing body weight. A 30-minute Tai Chi session burns about 150 calories in a 155-pound person. This is almost equal to the energy you spend walking at a moderate pace for half-an-hour. Obesity is the leading cause of diseases like diabetes, hypertension, and cardiac illnesses. By keeping your weight in check, Tai Chi prevents the onset of these diseases or helps manage their symptoms. 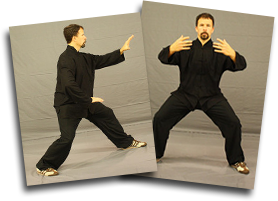 Tai Chi incorporates strong meditative elements in its moves. The slow and gentle movements and the deep breathing techniques are deeply relaxing while the complexity of the moves keeps your thoughts grounded in the present moment. So you are not distracted by negative thoughts. 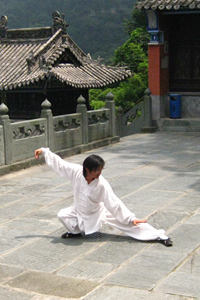 Multiple scientific studies have proven Tai Chi to be an effective stress-busting exercise. By keeping away chronic stress, anxiety, and depression, Tai Chi not only improves your emotional well-being but also keeps away stress-induced diseases like diabetes, cardiac complications, and hypertension. Tai Chi helps maintain your blood pressure level by keeping away unwanted pounds, stress, and depression. When you blood pressure is in check, you decrease your chances of developing cardiac diseases. 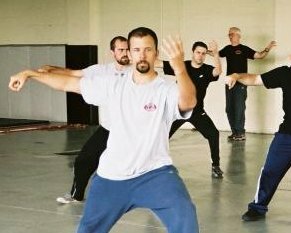 Tai Chi is essentially a martial art form. So, most moves focus on strengthening the muscles and making the joints flexible. Unsupported arm exercises and movements that have to be performed on one leg build strength in the upper and lower bodies. These exercises have been proven to improve balance and coordination in the elderly and help prevent slips and falls. With increased muscle strength, flexibility, and endurance, you can be more active and enjoy an enhanced quality of life. Tai Chi is an effective anti-aging exercise. The routines consist of several complex moves that have to be learned, remembered, and performed sequentially. 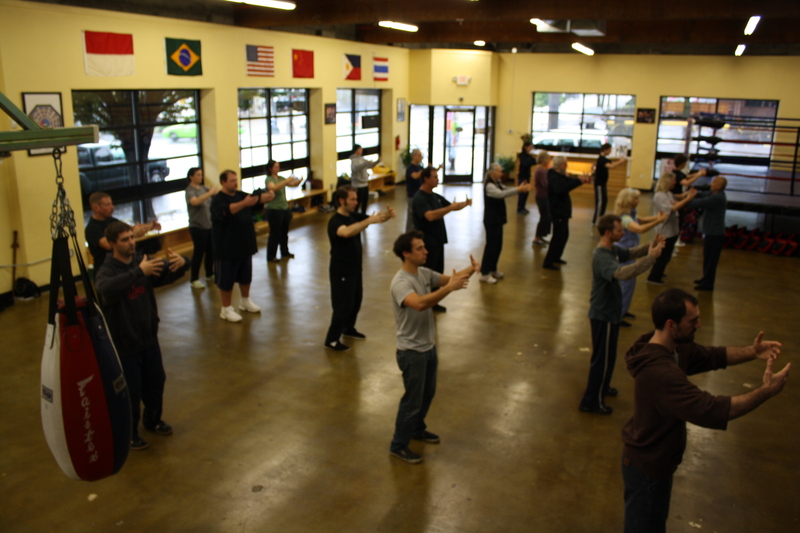 So Tai Chi engages the brain and keeps age-related conditions like dementia and Alzheimer’s disease at bay. When you are active, fit, happy, and calm, the ruddy glow of health on your cheeks makes you look younger. When you live your life to the fullest and are not bogged down by diseases, you feel younger. So how does Tai Chi work? By bringing you health, happiness, and peace, Tai Chi ensures all other pieces of your life fall in place naturally. Sources for more information on How Does Tai Chi Work?